The Middle District in Auto-Owners Ins. Co. v. Elite Homes, Inc., 2016 WL 409577 (M.D.Fla. 2016) recently issued an opinion involving the application of the “your work” exclusion in a homebuilder’s CGL policy that did not have the subcontractor exception (the language bolded above). Ouch!!!! Without this exception, the policy excluded from coverage “property damage to your work arising out of it or any part of it and included in the products-completed operations hazard.” Elite Homes, supra, at *2. But again,there was no subcontractor exception that negated the application of this provision to work performed by a subcontractor. What is the impact of not having the subcontractor exception to the “your work” exclusion? This case explains. The owners sued the homebuilder for water intrusion and damage from window defects. The complaint alleged that the leaky window(s) caused damage to drywall, insulation, interior finishes, wood frame, and sheathing. The homebuilder’s CGL insurer denied the homebuilder a defense and coverage based on the “your work” exclusion—the owner alleged damage to the homebuilder’s work (the structure of the home) but nothing else. The Middle District concurred that the water damage alleged in the owner’s complaint arose out of the homebuilder’s work and was damage to the homebuilder’s work (the home). Hence, the “your work” exclusion barred coverage for the owner’s construction defect lawsuit against the homebuilder. This opinion is painful because it illustrates the non-value the CGL policy provided to the homebuilder for property damage associated with defective windows. This outcome was the result of a CGL policy that eliminated the subcontractor exception to the “your work” exclusion. If the policy had this subcontractor exception, then there would have been coverage for the water damage caused by the defective windows and the homebuilder’s CGL insurer would have been obligated to defend the homebuilder in the owner’s lawsuit. The homebuilder would have been able to say that it hired a glazer (subcontractor) that performed the window installation and the glazer’s defective window installation caused damage to other subcontractors’ work. Make sure to review your CGL policy. If you do not have the subcontractor exception to the “your work” exclusion, the outcome in this case could likely be the outcome in your case dealing with property damage caused by defective construction. Consult with your insurance broker because this subcontractor exception to the “your work” exclusion is a must in construction! The recent Eleventh Circuit decision in J.B.D. Construction, Inc. v. Mid-Contintent Casualty Co., 2014 WL 3377690 (11th Cir. 2014), demonstrates the unfortunate applicability of the “your work” exclusion in CGL policies when the subcontractor exception (see image) to this exclusion was eliminated from the policy through an endorsement. 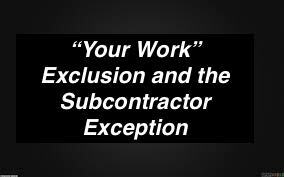 This subcontractor exception to the “your work” exclusion is important…I repeat, important…to the general contractor and anyone performing construction work that subcontracts out their work. Realizing the subcontractor exception to the “your work” exclusion has been removed or eliminated through an endorsement will create the dreadful “Oh No!” (or one its many wonderful euphemisms) moment! Just ask the contractor in J.B.D. Construction. 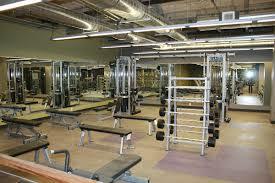 In this case, a general contractor was hired to construct a fitness center as an addition to an existing building. The fitness center was going to be constructed with prefabricated components making up the shell, slab, and flooring. The general contractor engaged subcontractors to install the prefabricated components and subcontractors to install the required mechanical, electrical, and plumbing. After construction, water damage was discovered in the fitness center caused by leaks from the roof, windows, and doors. The water damage consisted of blistering stucco, rusting steel, and the peeling paint. The general contractor implemented repair measures to stop the water intrusion. The owner, however, refused to pay the general contractor its final payment. The general contractor filed a lawsuit for this payment and the owner filed a counterclaim due to the leaks for breach of contract, negligence, and a violation of building code. The owner’s counterclaim alleged that the general contractor’s deficient work caused “damages to the interior of the property, other building components and materials, and other, consequential and resulting damages” as well as “damage to other property.” J.B.D. Construction, supra, at *2. At issue was whether the general contractor’s commercial general liability (CGL) carrier owed the insured-general contractor a duty to defend and duty to indemnify. In particular, the general contractor tendered the owner’s counterclaim to its insurer for defense and indemnification. While the CGL insurer was conducting its investigation to determine if it would provide a defense, the general contractor settled the counterclaim with the owner, paying the owner from its own funds. The general contractor then notified its insurer of the settlement and required reimbursement (indemnification) for the settlement amount in addition to legal/defense costs it incurred. Thereafter, the insurer tendered an amount it determined it owed for legal fees minus the policy’s deductible, but did not reimburse the general contractor for the settlement amount. The trial court granted the insurer’s motion for summary judgment in part finding that if any of the owner’s claims were for costs to repair the defectively installed roof, windows, and doors, these costs were NOT covered by the policy—they were excluded under the “your work” exclusion. The trial court further stated that the insurer did NOT have a duty to defend or indemnify the general contractor in the counterclaim because there was nothing in the counterclaim that alleged damage to property other than to the fitness center (the “your work”). This exclusion did not include what is commonly known as the subcontractor exception to the “your work” exclusion that says this exclusion does not apply if the damaged work or work out of which the damage arose was performed by a subcontractor. This is the Oh No! moment! It turned out that the subcontractor exception was eliminated through an endorsement that completely changed the application of the “your work” exclusion. Originally, the MCC Policy [CGL policy] also included a subcontractor exception to the “your work” exclusion, which stated that the “your work” exclusion did “not apply if the damaged work or the work out of which the damage arises was performed on your behalf by a subcontractor.” As originally written, therefore, the MCC Policy covered claims for damage to J.B.D.’s [general contractor] “work” arising from the faulty construction of J.B.D.’s subcontractors. However, this exception was eliminated by Endorsement CG 22 94 101 01. By eliminating the subcontractor’s exception, the MCC Policy no longer covered any claims for damage to J.B.D.’s “work” arising from work performed by J.B.D.’s subcontractors. Therefore, the “your work” exclusion, absent the subcontractor’s exception, bars coverage for damages to the completed fitness center or its components (J.B.D.’s “work”) arising from J.B.D. or its subcontractor’s defective construction. J.B.D. Construction, supra, at *6-7. 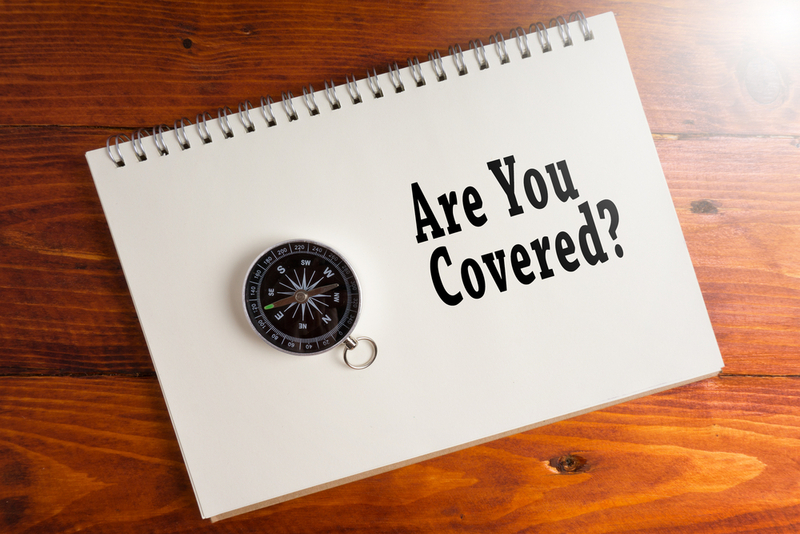 Now, even though the Eleventh Circuit held that there was no CGL coverage (thus, no duty for the insurer to indemnify the general contractor), the insurer still had a duty to defend. How could this be? Because the duty to defend is broader than the duty to indemnify and is dictated by the allegations in the complaint. If a complaint potentially triggers coverage, the insurer has a duty to defend unless there is an exclusion that applies to bar coverage based strictly on the allegations in the complaint. Since the complaint alleged buzz language “damage to other property” caused by the general contractor’s actions, this arguably included damage to non-fitness center property that would be covered and not considered the general contractor’s work. Based on this, and even though the Eleventh Circuit held that the insurer did not have to reimburse the general contractor for the settlement amount paid the owner, it found that the insurer breached the duty to defend by not defending the general contractor with respect to the counterclaim. The insurer argued that it tendered defense costs to the general contractor based on the attorney’s fees the general contractor incurred from the date of the tender to the insurer through the settlement with a deduct for the deductible. The Eleventh Circuit did not buy this argument stating that the general contractor accepted the money making it clear that it was not in satisfaction of the general contractor’s claim for additional payments/costs. For this reason, the Eleventh Circuit remanded the case back to the trial court to determine whether the general contractor is entitled to damages, including consequential damages, as a result of the insurer’s breach of its duty to defend the general contractor. For the general contractor (or subcontractors that engage sub-subcontractors) – Look at your CGL policy. Does it have the subcontractor exception to the “your work” exclusion? If so, is there an endorsement that eliminates this subcontractor exception. In this case, it was endorsement CG 22 94 101 01 (see image without subcontractor exception) that simply did not include the subcontractor exception language. You do NOT want this endorsement as it strengthens the “your work” exclusion for many construction defect claims. Again, as a contractor that subcontracts work, you do NOT want an endorsement eliminating the subcontractor exception. For the party asserting the complaint and party receiving the complaint– Remember the duty of the insurer to defend its insured is broader than the duty to indemnify so include buzz language in the complaint that there is “damage to other property” other than the work itself. It is always good to review the insurance policy of a party that you are suing to see whether there is an endorsement that eliminates the subcontractor exception to the “your work” exclusion. But, irrespective of whether you have the policy, including general buzz language could at least bring an insurer to the table and give an argument to the insured-defendant to get its insurer to defend the allegations in the complaint. If the insurer refuses to defend, there may be a potential avenue to explore that the insurer breached its duty to defend that may entitle the insured to certain, provable damages.